There are nights where I know my dinner will be consumed with my best friend, Netflix. It's not a bad thing—it's just that after a long day, sometimes all we want is to watch ancient Scrubs episodes and eat a dinner that KIND OF feels like a tasty snack. Enter these baked zucchini chips. They're low in calories and high in flavor, satisfaction, and healthy fats. You can serve them with a homemade garlic aioli or with my personal favorite, herbed marinara. If you're making this for one, cut one large zucchini into 1/8-inch slices. Double it for two, and so on. If you want more of the panko-herbs-and-cheese mixture to stick to the chips, you can add dipping in egg wash. I thought sticking with olive oil worked perfectly fine. 2. cut zucchini into 1/8-inch slices. toss with olive oil, salt, and pepper in a large bowl. 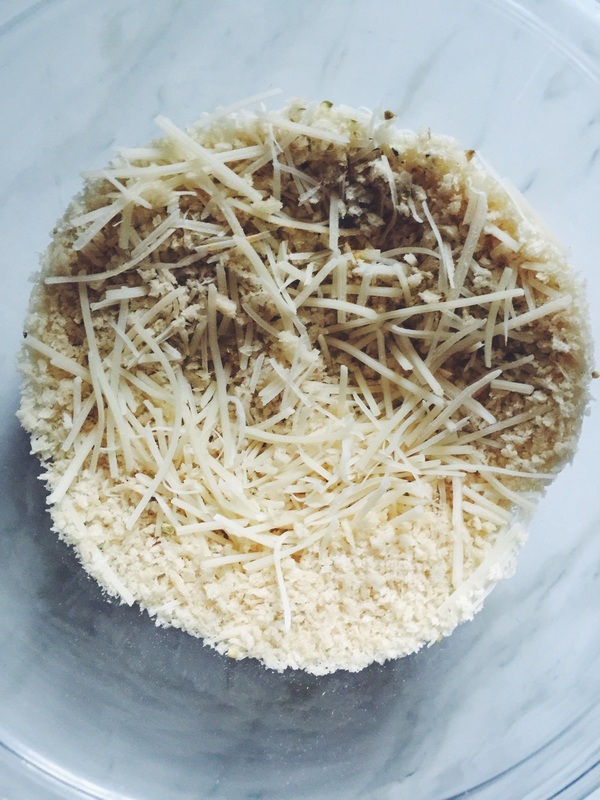 3. in another bowl, mix bread crumbs, parmesan, and herbs. 4. spray baking sheet with cooking spray. 6. lightly spray slices with more cooking spray. this will help you get a nice crunchy texture! 7. bake for 20 minutes, rotating the tray halfway through.